Do Performance Incentives Have a Place In Agency Remuneration Systems? 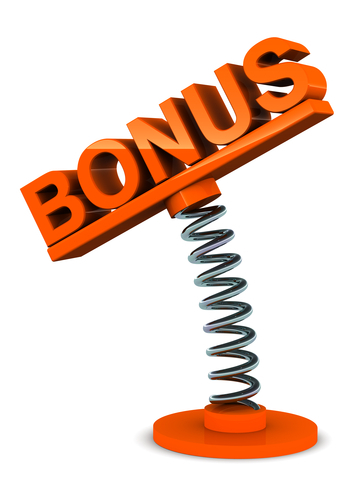 The direct answer is “yes” bonus compensation systems can be a viable means of incenting proper resource allocation decisions, behavior and performance among an advertiser’s agency network… just as they are with driving employee performance within an organization. This is clearly the case in designing performance compensation systems for marketing services agencies. Properly structured, incentive compensation systems are an excellent tool for aligning an advertiser’s agency network partners with the organization’s long-term business goals. Yes, that’s right, long-term goals. That is not to minimize the importance of the near-term sales and profit needs of the business and the role that marketing communications can play in successfully realizing those goals, but those outcomes should be the focus of the “base pay” portion of an agency remuneration system. A solid base compensation program is a requisite first step toward insuring that an agency makes the appropriate investment in staffing, consumer research & analytics, market insights and efficiency enhancing technology tools necessary to achieve next quarter’s demand generation goals. Securing agency “buy-in” and participation in supporting the broader strategic objectives of the organization are essential for long-term brand health and market share success. This is where we believe a performance compensation program should be focused. Too often we have seen incentive programs focus on tactical or executional outcomes at the expense of tapping into an agency’s strategic reserves as a means of upping the value of their contribution to an organization’s long-term success. One of the keys to success in this area is to involve the top management of both the advertiser and the agency. Bringing senior management together to discuss the client’s vision for success, business goals and the performance criteria that should be put in place to assess progress has a dual benefit. One, it can elevate the perspective of the agency from “vendor” to “partner” status in the eyes of the client’s management team and gain their appreciation for the agency’s strategic capabilities. Secondly, the opportunity for a broader level of “strategic engagement” with a client can be an incredibly compelling proposition for senior agency management. In turn, the combination of the respect exhibited by the client for the agency’s ability to contribute and the corresponding financial reward tied to their mutual success will fuel an agency to make the desired resource investment. We would certainly echo the notion of “simplicity.” Too often in our contract compliance auditing practice, we encounter incentive compensation systems that are confusing, overly complex and metric laden to the point that they may incent very little in the way of extraordinary performance. Finally, we would recommend integrating an annual client-agency 360° evaluation process that involves the same senior managers that were party to constructing the terms of the performance compensation program. The ability to mutually assess progress and to identify areas for refinement in the coming months can boost the chances for successfully achieving the client’s goals and for building the client-agency relationship. Interested in learning more about the role of performance compensation programs in agency remuneration systems? Contact Cliff Campeau, Principal at Advertising Audit & Risk Management at ccampeau@aarmusa.com for a complimentary consultation.